Pinecone Hotel is a new Executive Hotel in Kisumu set out to deliver world class services with quality and top-notch facilities. With 58 Deluxe rooms, 2 apartments, 6 Suits, 4 Executives, a Restaurant, A bar, Swimming pool. It also offers executive conferencing services at the Hotel, with 5 Conference halls capable of sitting 600 guests. Pinecone hotel is bound to give you that environment you desire for a getaway. All rooms in the hotel are equipped with a flat-screen TV. Rooms are complete with a private bathroom, while certain rooms at Pinecone Hotel also feature a seating area. All guest rooms have a closet. The accommodation offers a continental or buffet breakfast. Pinecone Hotel Kisumu has a terrace. Milimani Shopping Centre is 1.2 miles from the hotel. 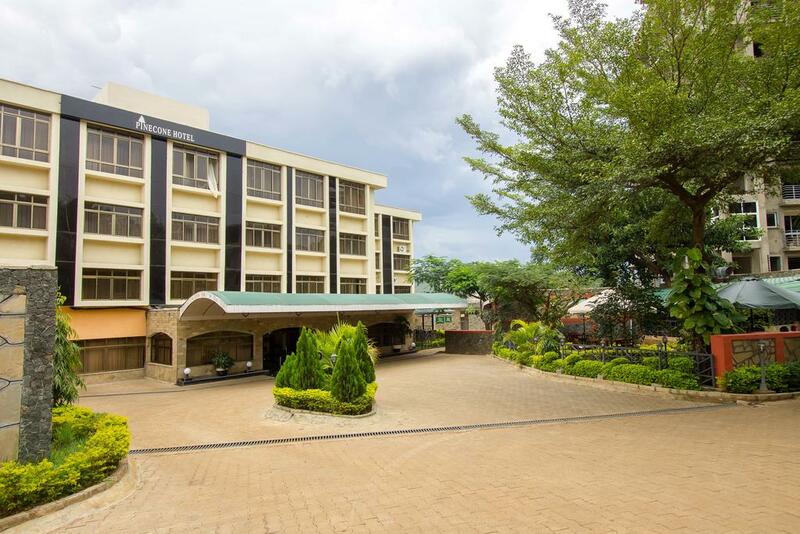 The nearest airport is Kisumu International Airport, 2.5 miles from Pinecone Hotel.